Santa suit made of strong red fleece and trimmed with a snow-white band of faux fur (1"/2 cm pile). The beard and wig make Santa’s image complete! 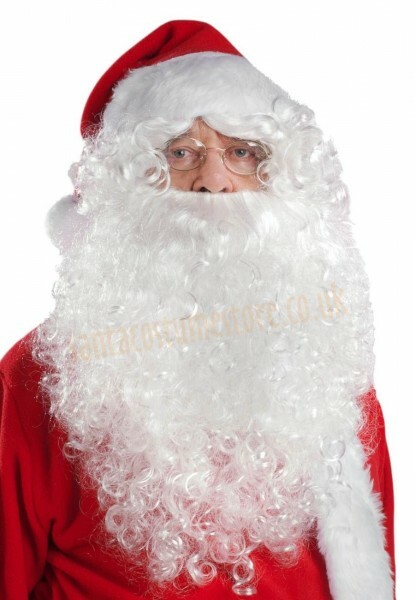 Why is it worth choosing a fleece Santa suit with jacket? 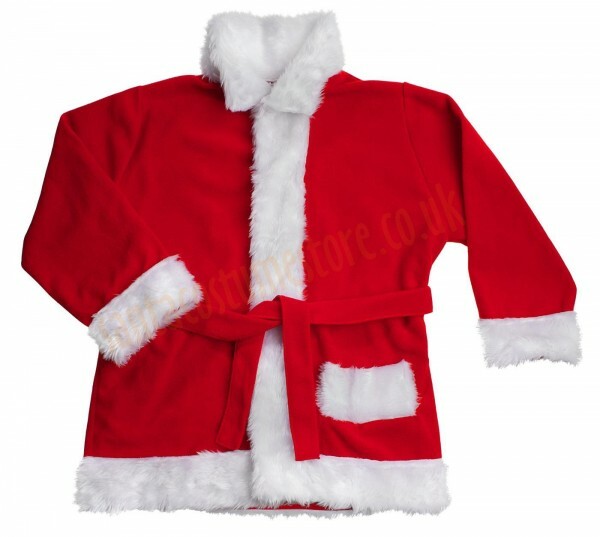 Our basic Santa costume with jacket is made of soft but strong deep red fleece, and is trimmed with a 3" (7 cm) wide brand of snow-white faux fur (1"/2 cm pile). This popular model comes first for value for money! 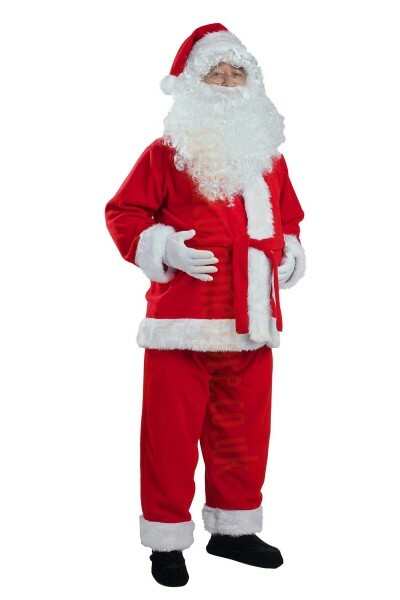 This Santa outfit is available in the following sizes: M (5'3"-5'8"/160-174 cm), L (5'9"-6'3"/175-190 cm) and XL (6'3"-6'7"/191-200 cm); for details, see the Measurements chart. 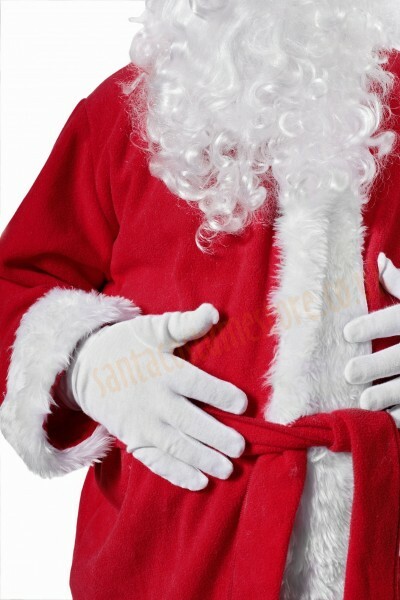 What is included in the set with the fleece Santa suit with jacket? 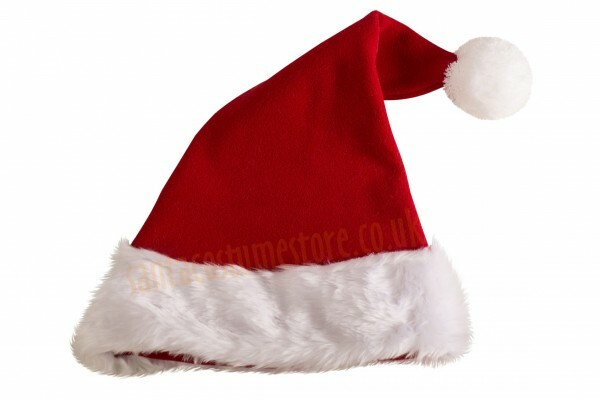 The set comprises: fleece Santa costume (jacket, trousers and hat); and beard (12"-15.5"/30-40 cm) with wig. 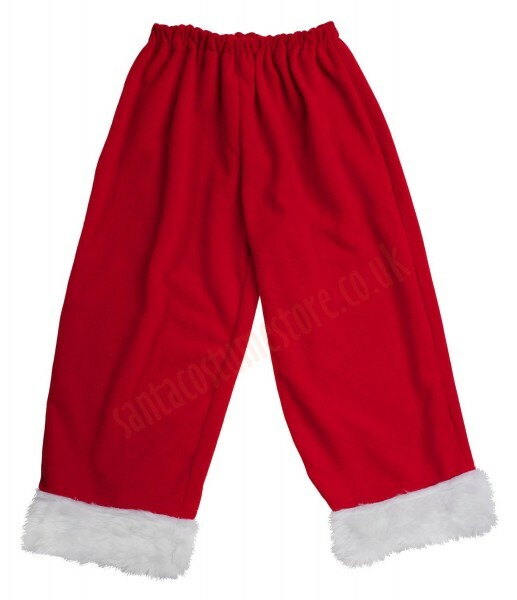 The Santa trousers – thanks to the elastic at the waist – easily suit anybody’s figure. A hat is an essential part of a Father Christmas costume – and ours comes topped with a smart, fluffy pompon, 3" (7 cm) in diameter. 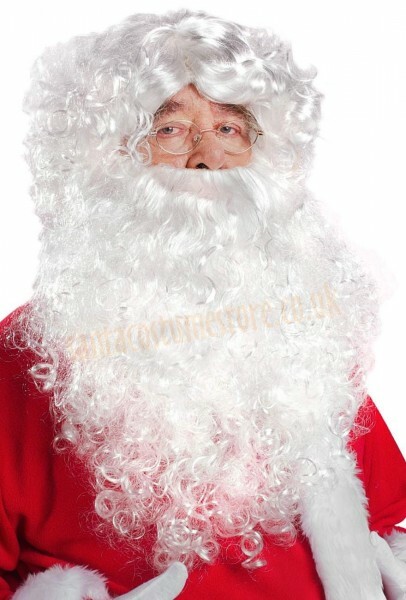 The Santa beard, which comes with a wig, goes perfectly with the Santa Claus costume. The beard itself is white, while its soft hair hangs in gentle curls measuring 12"-15.5"/30-40 cm. Longer beards are also available as Sizes and options. It is held in place with the help of two elastic straps and – if necessary – special beard glue. 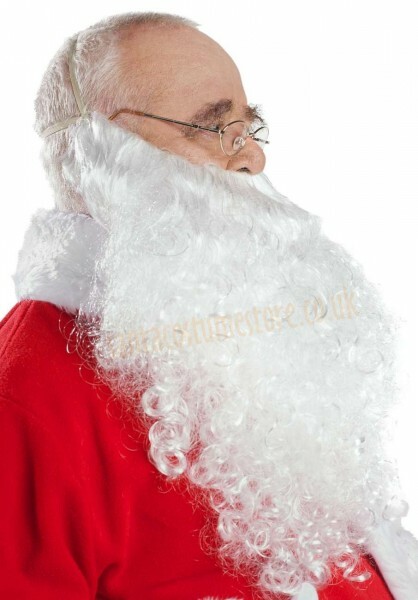 The wig covers Father Christmas’s own hair and ears, as well as the elastic straps holding the beard in place. A convincing set for the modern Santa. 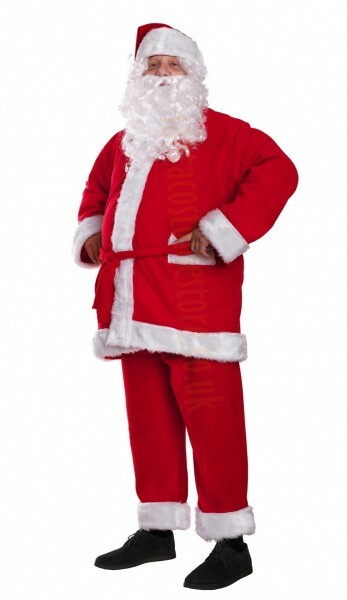 A dependable Santa suit for everyone! NB: this set does not include the boot covers, glasses and gloves shown in the photos (they may be bought separately).